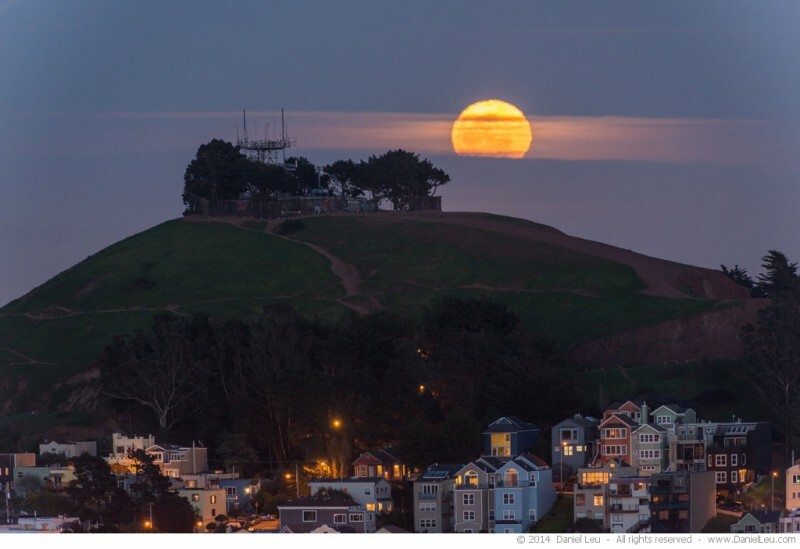 The plan for tonight was to capture the rising full moon behind the Bernal Heights Park peak. I arrived a bit early at my planned location to have enough time to find the best composition. Specially for photographs that show a special moon alignment, sometimes it is difficult to find the right spot because there are still a lot of power lines here in San Francisco. Luckily, this was not an issue tonight. While waiting for the moon I stayed busy checking my surroundings. 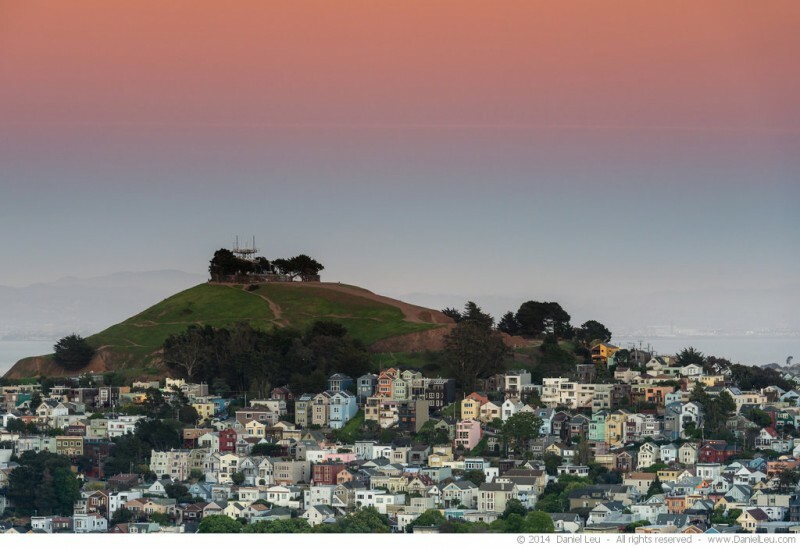 I like following shot of the Bernal Heights Park with the pastel colored sky. A low layer of clouds blocked the moonrise a bit, but eventually the moon showed up. The bottom part of the moon is still hidden by some clouds. But this makes it a bit more interesting as well than just having the plain moon. The rising full moon covered by some clouds behind the Bernal Heights Park peak. Curious what focal length you had to use to get that size of a moon behind the radio tower. I’m guessing something in the 400-600mm (35mm equiv) range? It’s really a stunning shot. Thank you, Martine and Steven!